A few members of the Ellerslie Community League board got the chance to chat with Edmonton’s new mayor, Don Iveson, at the second annual EFCL Leagues Alive! Conference on Saturday, November 16. The conference was a huge success and the board members who attended said it was a great experience. 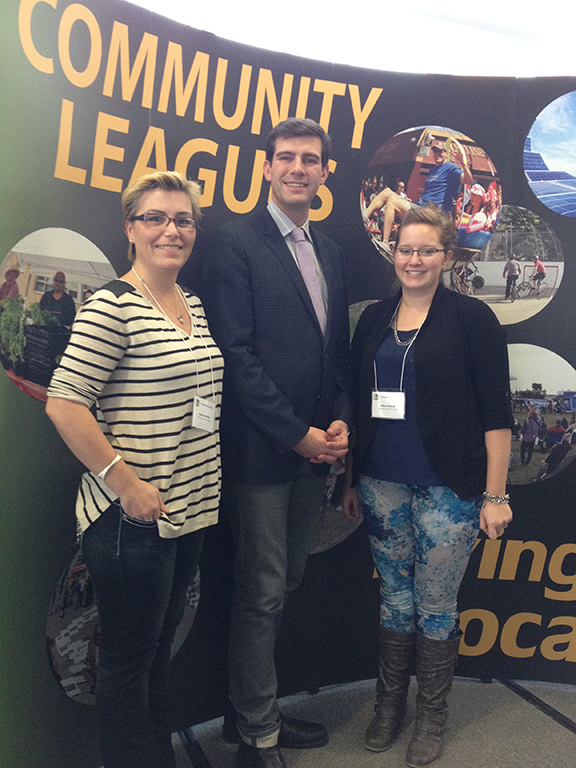 Jessica Mihaly, ECL secretary (left), and Alicia Staub, ECL social director (right), meet Edmonton’s new mayor, Don Iveson, at the EFCL Leagues Alive! Conference. It’s official!! After a couple years of hard work we have raised enough money to build the park next year! A huge thank you to Amarjeet Sohi for speaking to the developers of our neighbourhood on our behalf. When he told them we only had $37,500 left to raise, Cameron Developments donated an additional $7,500 (from their previous $10,000 donation) and MLC donated $30,000!!! Please watch your mailboxes for our pamphlet that will give you an opportunity to donate to the park project. We are hoping to raise additional funds so we can install poured-in-place rubber in the park instead of the engineered wood fibre we are currently budgeted for. We appreciate your continued support and look forward too seeing you at the park! Remember, even if you donated last year you can donate again this year and get a new tax receipt for the next tax season. We will also total all of your donations so that your name can be displayed on the next level on the rock plaque. If have questions, wish to volunteer or would like to be added to our email list for updates please email us or check us out on Facebook. The 2013 AGM will be held on Monday, November 18 from 6:00 to 8:00 p.m. at Grace Point Church. 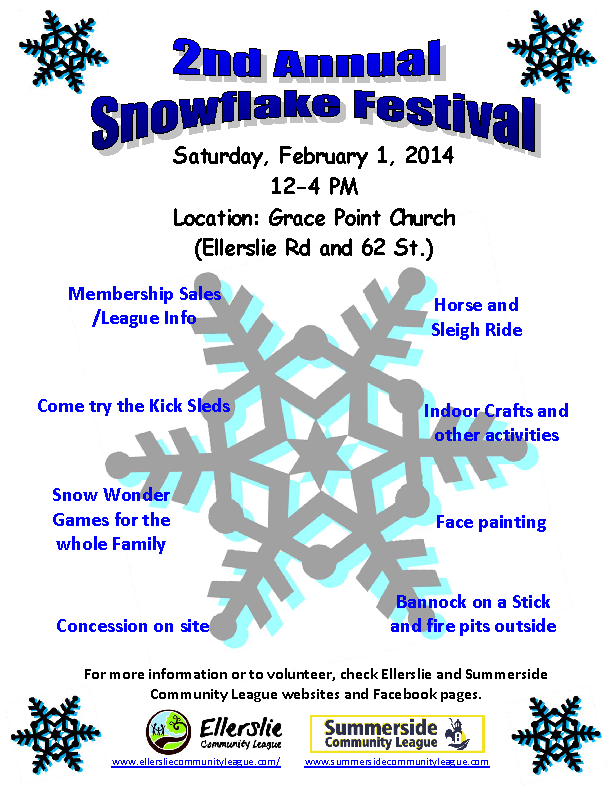 All league members are expected to attend. We will be holding elections for the following positions: vice-president, treasurer, programs director, civics director and membership director. 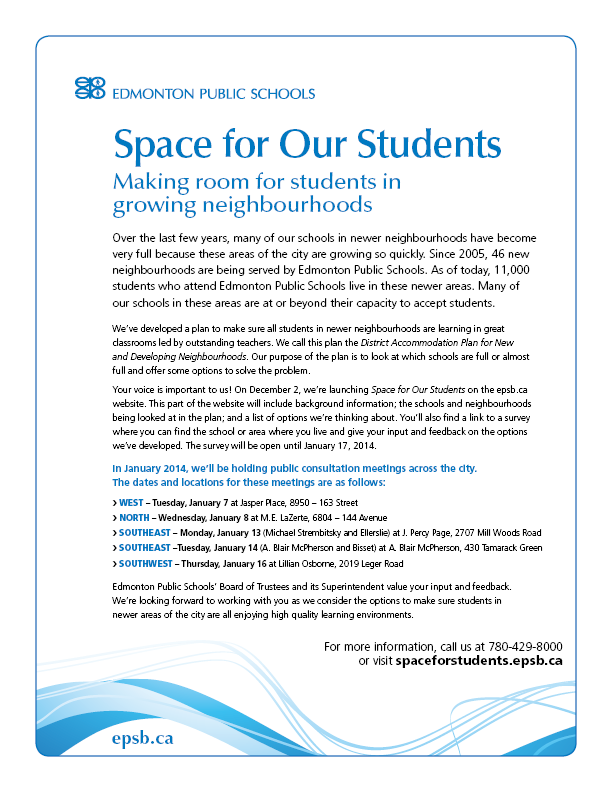 There will also be reports from all current board members. 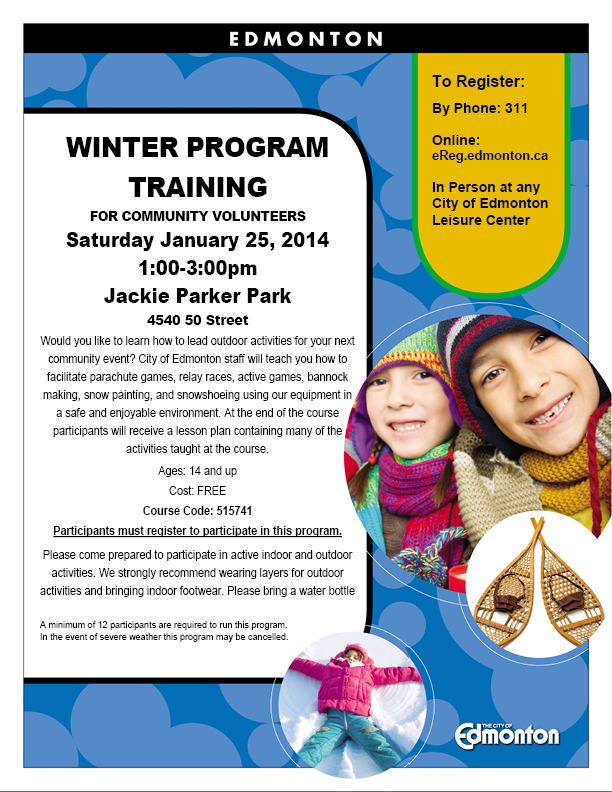 We invite everyone to attend and bring ideas forward that you would like to see from our community league. We would love to hear from each and every one of you.